The launch of US$40m VisVires New Protein (VVNP) fund with its niche focus on the global food and feed system attests to the growing investor appetite for foodtech startups. 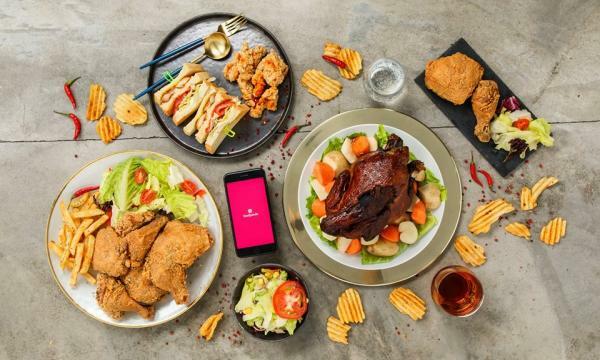 Although the foodtech scene was once limited to pioneering delivery applications such as foodpanda and Deliveroo, the budding space is gradually heating up as players tapping on the complex food supply chain jostle for a larger slice of Singapore’s profitable foodtech pie. Grab which earlier acquired UberEats, Honestbee, WhyQ, food delivery provider Plum are some of the big-ticket names that have joined the city state’s foodtech fray in recent months, data from EY show. Restaurant booking platform Chope was also able to raise US$13m for its funding needs in October 2017 in a deal that drew Square Peg Capital, C31 Ventures and Moelis Australia, attesting to the growing shift in investor palate towards startups disrupting the food supply chain. “This space is fast becoming saturated as competition intensifies. More recently, the Singapore government has released its blueprint to develop Singapore into a leading food and nutrition hub in Asia by 2025. Since then, we have seen rapid development in various fronts that appeal to foodtech players,” Sarah Cheah, Associate Professor, Department of Management & Organisation at NUS Business School told Singapore Business Review. Investors have poured nearly US$2.5b into the restaurant tech segment globally since 2012 over 600 deals, according to data from startup insights provider CB Insights. “In the near-term, we should see more share of investor funding, especially with more startups with deep technology and strong intellectual property being created (e.g. Alchemy Foodtech’s 5ibrePlusTM technology that tackles diabetes), new government schemes to de-risk by co-investment with private investors in foodtech (e.g. Seeds Capital’s co-investment with Heritas Capital Management in Alchemy Foodtech), and new venture capital funds being launched that focus on the future of food (e.g. US$40m VisVires New Protein fund),” added Cheah. Enterprise Singapore has also called for interested investors in foodtech to apply for co-matching funding to help plug gaps in sector knowledge and experience in the budding foodtech sector, noted Wang Yunming, venture partner at Quest Ventures. "Singapore's weakness is in the marketing of its abilities, and the seemingly inability of local investment firms to support local food companies. For example, there are already companies in Singapore that can do what Silicon Valley-based companies such as Impossible Foods do. From our vantage point in China, where local investment firms heavily support indigenous companies, this lack of local support in Singapore is odd and an unhappy and probably false indication that local companies cannot meet the expectations of local investors," he explained. Despite its limited domestic market, culinary-loving and tech-savvy Singapore is increasingly positioning itself at the centre of the global food market that is poised to grow by over US$250b by 2022 as the Lion City serves as fertile ground for foodtech startups testing the limits of public and investor appetite for their product and service offerings. “Six years ago when foodpanda was looking to launch, Singapore was a natural first choice. Singapore’s market size makes it an ideal location to pilot new schemes and technologies,” said Luc Andreani, Managing Director, foodpanda Singapore. Now, the foodtech firm delivers from over 6,000 food outlets through its fleet of 6,000 riders. The firm recently launched a pick-up feature allowing customers to pre-order food and collect their orders directly from restaurants without incurring delivery fees and adhering to minimum order values or geographical restrictions. "Innovation is a key theme as foodtech players continue to evolve. At foodpanda, we embrace innovation to stay ahead of the curve and maintain our market-leading position," added Andreani. Also read: Online food delivery and grocery goes physical: is it worth it? On its part, London-based Deliveroo, who entered the Singapore market in mid-2015, is banking on the relentless expansion of its culinary and tech capabilities to stay relevant in the toughening market environment. To this end, the firm has deployed a predictive algorithm dubbed Frank which evaluates the most efficient way to distribute orders based on the location of restaurants, riders and customers so that delivery times are up to 20% faster. “As the food delivery sector grows, and technology and automation become increasingly accessible and integrated into consumers habits and lifestyles, we will continue to see ways in which brands leverage this for the benefit and convenience of their users," said Deliveroo general manager Siddharth Shanker. "We will continue to see businesses leveraging big data and making smarter use of this to optimise and tailor offerings to the consumer." Deliveroo Singapore now has 6,000 riders and 4,000 restaurant partners in 2017, according to a press release. Despite glowing numbers, Justin Hall, partner at Golden Gate Ventures believes that food delivery has less to do with the actual food and more about logistics and supply chain ecosystem. 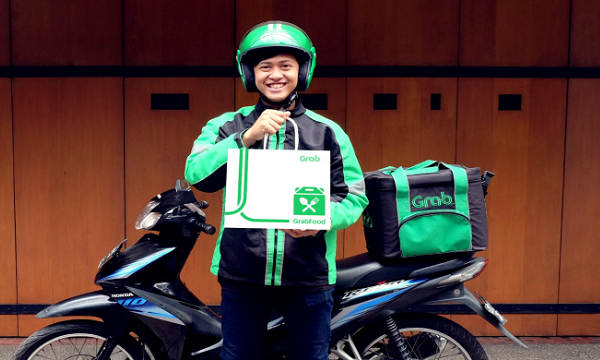 This naturally gives edge to ‘superapp’ aspirants like Grab and GO-Jek who started out as ride-hailing services but have since tapped on their logistics expertise to expand into food delivery, effectively edging out dedicated foodtech startups with only restaurant listings and delivery to offer. "I see interest in restaurant listings and delivery continuing to wane, and service- or product-enabling technologies, such as POS systems and SaaS tools getting more traction," added Hall.